If you told my 20-year-old self I would one day become a runner, I wouldn’t have believed you. I was the polar opposite of athletic when I was growing up, and while I have always been on the slim side, I have always done the bare minimum when it comes to fitness and exercise, which means I’ve never been in particularly good shape. But motherhood has a way of changing people, and after putting my career on hold to stay home and raise my daughter, I started to notice changes in my personality. I was less patient, more irritable, and often felt stressed and anxious about the silliest things. I don’t know if I had a case of the baby blues, or full on postpartum depression, but I do know that I was sick and tired of being a Negative Nancy all the time, and after a particularly rough day with sleep training and colic, I decided it was time to do something about it. So I walked over to our local gym, bought myself a membership, dug out some old workout clothes, and at 5 am the following morning I dragged myself from our warm, comfortable bed to try my hand at running. I’d once heard a friend describe how addictive the infamous ‘runners high’ can be, and with my favorite tunes loaded on my iPod, I was determined to see what it felt like. Thirty minutes later I returned home with a victorious smile on my face. I had run for 20 straight minutes without stopping that morning, and even though my heart was racing, my legs were shaking, and I felt like I was going to collapse, I knew I had found my new passion: I was going to become a runner. I have been running 4-6 times a week ever since, participated in my first 8-kilometer race in October, already have 3 races lined up for this coming summer, and have surpassed so many goals I never thought I would be able to achieve. None of this came easily to me, and it took a lot of hard work and determination, but if I can teach myself how to become a long-distance runner, ANYONE can teach themselves how to become a long-distance runner! Check out 7 of my best running tips for beginners below and make your dreams of becoming a runner a reality! While I was able to run 20 straight minutes the first time I hit the treadmill, I wasn’t as lucky in my subsequent visits to the gym. It took time to build up my stamina, and while I found it extremely frustrating when I had to slow down after only 5 minutes of running, I kept reminding myself that my hard work and determination would eventually pay off, and started to set realistic goals for myself. As my stamina increased over time, I reduced my walk time to one minute for a few days before replacing my walking with a light jog, and before I knew it, I was running for 30 minutes without taking any breaks! My initial goal was to be able to run at a speed of 6.0 for 30 minutes straight, and once I reached that level, I kept adjusting my speed until I reached each new goal I set for myself. The key is to push yourself, but to do so gradually to keep things manageable. Even though I had a clear-cut plan in place to reach each goal I set for myself, there were days when I just didn’t think I could do it. Sometimes I felt too tired, and other times my body just felt too sore, but rather than give up, I would chant, “JUST ONE MORE MINUTE!” over and over in my head. Because ONE more minute seems much more achievable than TWENTY more minutes, and by focusing on a (much) smaller goal, I was often able to power through the entire run. One of the biggest mistakes I made when I first started to run was to hit the treadmill too frequently. I became so addicted to my post-run euphoria that I became obsessed with making it to the gym every single day. This had very positive results on my mood, but by refusing my body the rest it deserved, I really wore myself down. Once I started to give myself a 1-2 day break in between my runs, I found I was able to push myself a lot more. For a long time, I was only able to withstand a 30-minute, 5-kilometer run on the treadmill, but now I’m running 10 kilometers in under an hour a couple of times a week, and it’s all because I’m allowing my body the time it needs to recover. Whether you get bored on the treadmill, or find you have reached a plateau in your performance and weight loss, make sure to mix things up. There are a number of different ways to do this – add an incline, do sprints, challenge yourself to a long-distance run – but the key is to ensure you aren’t doing the exact same thing every single time you put your running shoes on. The more variety and intensity you add to your running routine, the better the results. Oh! And don’t forget to add some good tunes to your running mix. Here are 40 of my favorite workout songs to keep you motivated! Once I achieved my initial running goal (to run 30 minutes without feeling like I was going to pass out), I became kind of lazy. I didn’t pay any attention to the distance I was running, and was more concerned with getting in 30 minutes of run time, regardless of the speed or incline at which I was doing it. But then a friend of mine convinced me to run an 8K race with her this past October, and I realized I needed to do some serious work. As it turns out, I wasn’t pushing myself nearly enough, and if I hadn’t taken the time to train for that race, I likely wouldn’t have been able to make it to the finish line…even though I considered myself a long-distance runner! By giving myself a long-term goal, I was forced to challenge myself with each run I completed, and I ended up finishing that 8K race in 42 minutes and 30 seconds! I now try to set a couple of short-term goals, as well as one long-term goal, to ensure I continue to challenge myself. For example, my goal at the beginning of this month was to run 10K, which I was able to do in under 55 minutes last week. I have since completed 3 more 10K runs in the same timeframe, so my short-term goals over the next month are to push myself to run 12.5K, and eventually 15K. I am using those challenges to help with my long-term goal, which is to run my first 10K race in June in under 45 minutes. Do you think I can do it??! 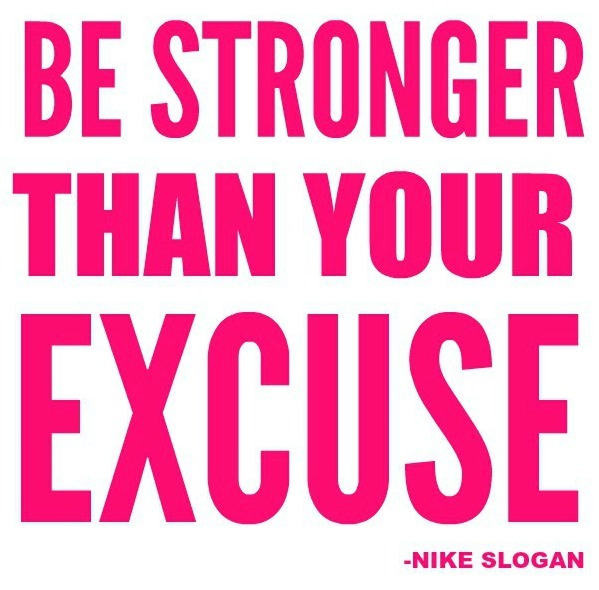 That quote always gives me the motivation I need to keep going, and I always feel better when I put my excuses aside and set my mind to achieving my goals. Remember: if these running tips helped transform me from a wine-drinking couch potato into a long-distance runner, they can do the same for you. All it takes is a little drive and determination. So stop procrastinating, put on your runners, and let’s do this already! 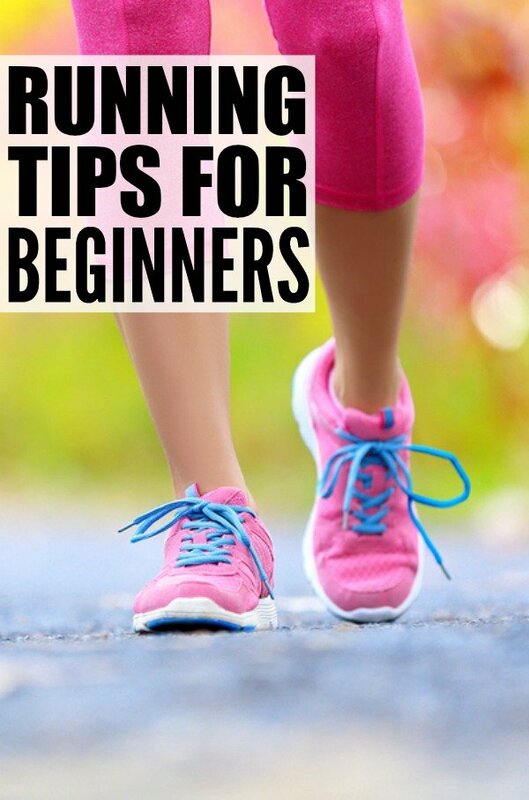 If you found these running tips for beginners helpful, please share them on Pinterest! And if you’re looking for more health-related tips and tricks, please follow our Health and Fitness board where we share all kinds of inspiration!